Funny how one shoot can lead to another, very different shoot. When I was photographing the gorgeous Sasha recently, it occurred to me that she’d make an amazing “Bond Girl”… and so the basis of the “Bondesque” workshop was born. Too much to run over a single evening, I’ve decided to run this over two evenings. 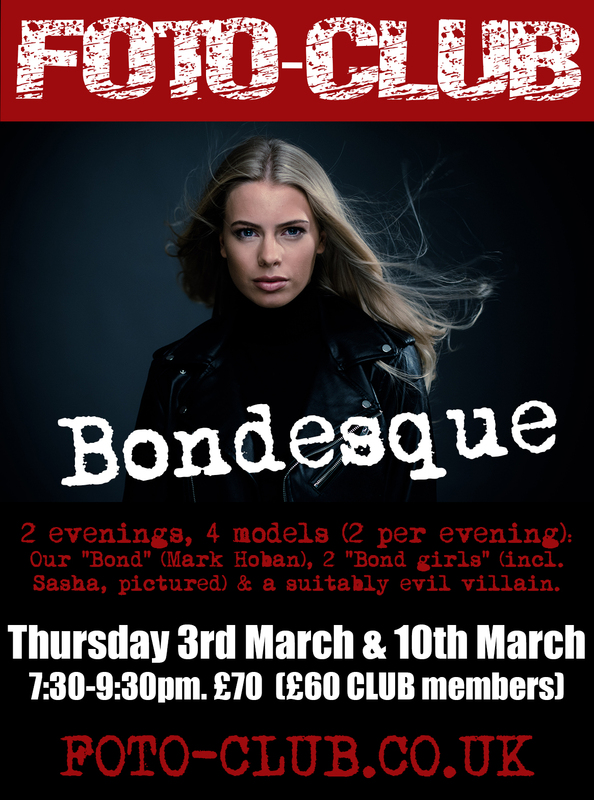 There’ll be a “Bond” (played by the brilliant Mark Hoban), two Bond girls (one “good”, one “bad” and including Sasha), and a suitably evil villain.